My little one has been on a Dora the Explorer kick for a few weeks now. Everything is about Dora and she’s always wearing some sort of backpack, it’s a-dora-ble! 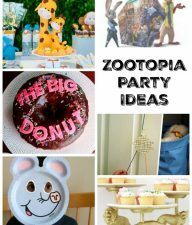 She’s having a Dora birthday party for her 2 year birthday and here are a few of the activities we’re doing. Invitation: Create a map as an invitation to give out by using a creme colored piece of paper. You can even crinkle it up to look like a worn weathered map. Write your party details on the inside, roll it up, and seal it with a sticker or ribbon! Dora’s Backpack: I made a little fabric Dora backpack for each child. I followed my own pattern sewing a simple square with the top open and sewing a half circle flap for the top closure. I drew Backpack’s face on the front as well. 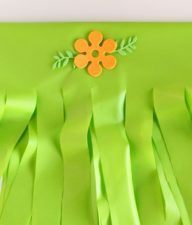 Here is a good draw string backpack pattern if you would like something to follow. We’re Off to Find the Arco Iris (rainbow): We start our party in our living room with the children catching bubbles or playing with balloons until everyone arrives. Once everyone is there, have the children look at our big map on the wall. 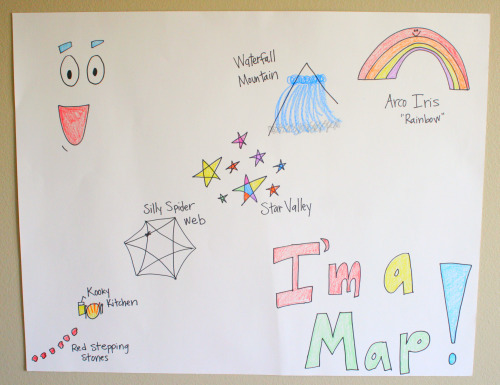 It’s a white poster board with a map leading through our house, helping us find to Arco Iris (the rainbow). After we talk about our map, “saying it with me”, then we go on our adventure. They’ll travel over the red stepping stones to the Kooky Kitchen, then through the Silly Spider Web down the stairs to the Star Valley. 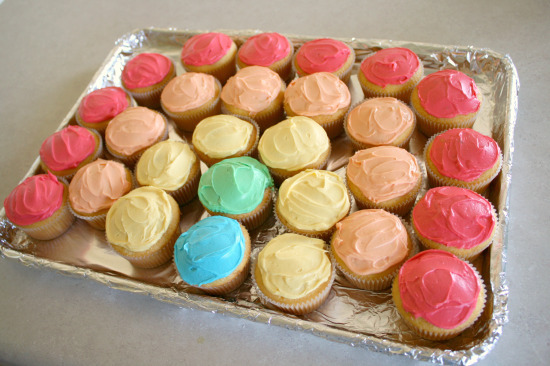 Then climb up the stairs over Waterfall Mountain to find Arco Iris, our cupcakes! 1st: We travel over the red stepping stones. 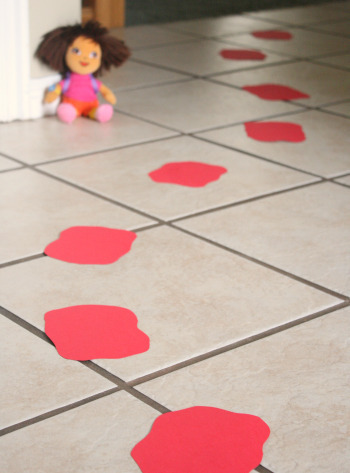 These stepping stones are made with red paper and taped to the floor. But a few of the stones are missing and we need all of them to cross the path. Have each child look in backpack and find a red stepping stone to add to the path. Then cross the path to the next place (you should be entering the kitchen). For older children, add a number to each step and have the children put them in the right order to cross. 2nd: They’ve made it to the “Kooky Kitchen”. This is where they’re going to eat their snack, helping fuel them for the adventure. To make it more of a “kooky” kitchen, have them eat on the floor on a blanket or turn the kitchen all upside down crazy. Have the children sip some lemonade and eat Cheese Stick Maps – string cheese looks Map! 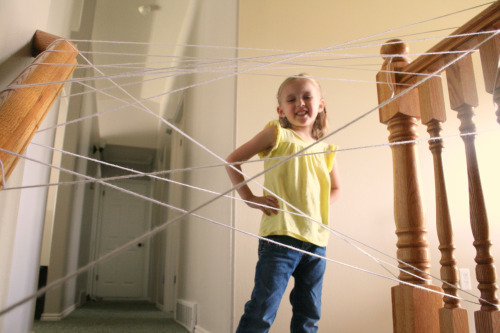 3rd: They travel through the Silly Spider Web. This is a yarn web tied around our stair case. The kids have to work their way around the string without getting caught. 4th: Catch the stars in Star Valley. Have each child pull out a magnifying glass or telescope from backpack to help them find the hidden stars. Cut out 20 or so paper stars and tape them to the walls and hide them around the room. Have the children “catch” the stars. They can place their stars into their backpacks. Last: Climb up Waterfall Mountain to the Arco Iris. As the children are catching their stars, drape some blue fabric or plastic all along your stairs to resemble a waterfall going down the stairs. Have the children climb up the blue fabric or waterfall, to get to the kitchen once again. Once on top of the waterfall, they should find the Arco Iris, rainbow cupcakes on the table. Sing happy birthday and let each child pick out what color of the rainbow they are going to eat. We Did It Party Bags: To celebrate that “we did it”, each child gets to take home their purple backpacks filled with a few fun things. You can add fruit snacks, stickers, and a blue beaded bracelet. 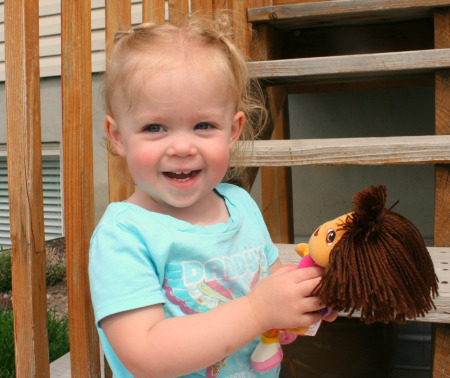 How have you celebrated Dora for a birthday party? Any fun games involving Boots, Tico, or Benny? Thank you! 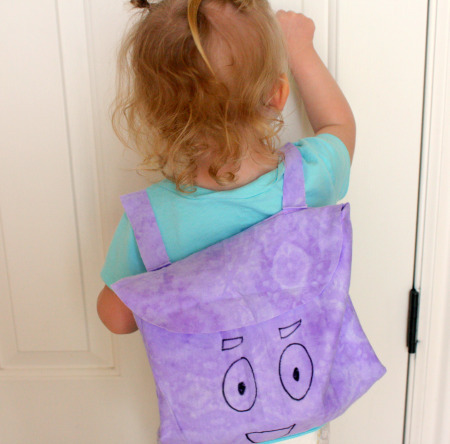 I am trying to put together my two year old’s party without the plastic toys and was stumped as to how to make a backpack I liked, and one that wasn’t over the top with sewing. This is great! I did a Dora party for my daughter’s second party. Here are a couple of details from the party. “Dowa!” She will love a Dowa party! so fun! 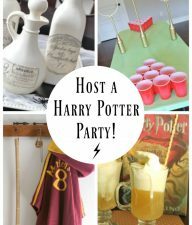 I love the idea of them having the backpack the whole time and finding stuff to use during the party! 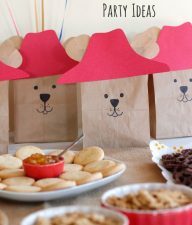 Love your adventure party ideas! I’m sure the kids hat a great time.